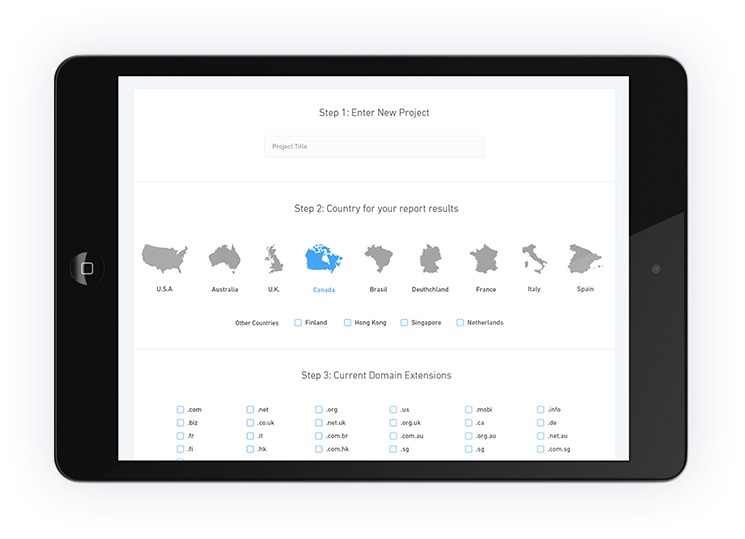 Imagine being able to type in 1 word, choose a country and hit search, our system then goes to check all available domains and then checks the monthly search volume on the available ones, presenting you with a report for domains you can register right away and start using! We have members who use this tool daily to find killer 'service' domains in their area (doctor, dentist etc.) and register them, rank them quickly and easily because they are exact match domains in a specific area, the competition is low, and then rent these sites to clients. Imagine how easy it is to get a client to buy your leads when you already rank top for terms that get real searches every day!